Casino International | Room for one more? Casino International > Latest News > Asian News > Room for one more? Seven? More? Five? Less? Anything is possible, they say, but some scenarios are more possible than others . . .
“Six licences might still not be good enough. We can reasonably imagine that the Macau Government would be fiercely criticised if only the incumbents survived the ‘public’ bidding procedure while not even one new player makes it through,” Changbin Wang, professor of Gaming Law and Regulation at the Gaming Teaching & Research Centre (Macau Polytechnic Institute), wrote in 2015. Macau Business contacted Professor Chongbin for this story, who reaffirmed what he had written almost three years ago, words that give rise to two different ideas: the possibility of having at least a seventh operator and the interest in the newcomer being a local company. Changbin Wang is not the only one who sees the possibility of the growth of the number of operators albeit these voices are currently in the minority. Approximating Changbin’s view, for example, is that of one of the new deputies directly appointed by the Chief Executive. Davis Fong, contrary to what is commonly thought, believes that the likelihood of Macau’s government welcoming a newcomer is “a distinct possibility” (according to his interview with Inside Asian Gaming). Fong also understands that it should be the Gaming Industry Committee, not the law, which defines the number of gaming concessions. This would allow for a larger number of contenders. “Considering the physical environment of Macau and the need to achieve economies of scale by related business firms in the industry – especially a concession holder’s contributions to the development of Macau’s non-gaming segments – I may not see much ‘space’ for one more operator in the coming years,” Professor Ricardo Siu explained to Macau Business. More inconceivable, therefore, becomes the proposal made by one of the political forces competing in the last elections – Power of Political Thought – which advocated increasing gaming licences to nine! But the Macau Legend CEO would not be the only local candidate for this hypothetical seventh licence. 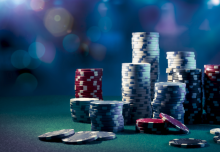 Local junket operator Suncity ‘is positioning itself as a real gaming company and if additional Macau concessions are granted in the future would position itself as a contender,’ research firm Bernstein opined in a note four months ago. Jay Chun, Chairman of the board of directors of LT Games operating the Macau Jockey Club, Waldo and Kam Pek Paradise casinos; and junket promoter Jimei, which operates VIP lounges and the Grand Lapa hotel casino, could theoretically also be contenders. If the scenario of increasing the number of concessions receives few votes, the opposite has even fewer advocates. It is true that the MSAR Government is being pressured by Beijing to promote economic diversification and less dependence upon gaming – but at the expense of one or more of the current operators? It is important to remember that the report published by the government shows that the dealers are complying with the commitments made. If the government is dissatisfied with one of the operators, does it reduce the number of licences or replace it? In addition, it is necessary to take into account the social impact that would result from the termination of a concession. “The Macau Government, under increased pressure from Beijing to diversify its tourism offerings and keep gaming growth under control after casino revenue nearly doubled from 2010 to 2013, could feel compelled to do something unexpected again. And when it comes to gaming concessions, Macau has proven it can do just about anything it wants” – thus ends an article titled “After Magically Multiplying Gaming Licences, Macau could Try Subtraction” published in 2015 by Forbes.